Looking for an intimate venue to dress up for your next event? Whether you're throwing a corportate party, live theater performance, wedding or photo shoot, At The P offers both a dreamy event space (rooftop with a view, anyone?) and a prime location in the heart of Hollywood. 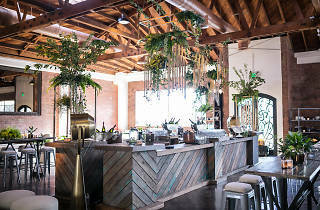 At The P is home to two distinctive venue spaces: Cole, a 3,600 square-foot space outfitted with brick walls, a wooden bowtruss roof, skylights and a rustic, warm interior; and Mr. P's Rooftop, a 5,000-square-foot space (slated to open in early 2018) with sweeping views of the city. Also in the works is a new restaurant and bar, which is set to open its doors in 2018. For those looking to host a live theater performance, At The P is no stranger to the performance arts. Award-winning theater companies, Rogue Machine Theater and Open First Theater Company, call the venue home, in addition to Birds of a Feather Theater Company. 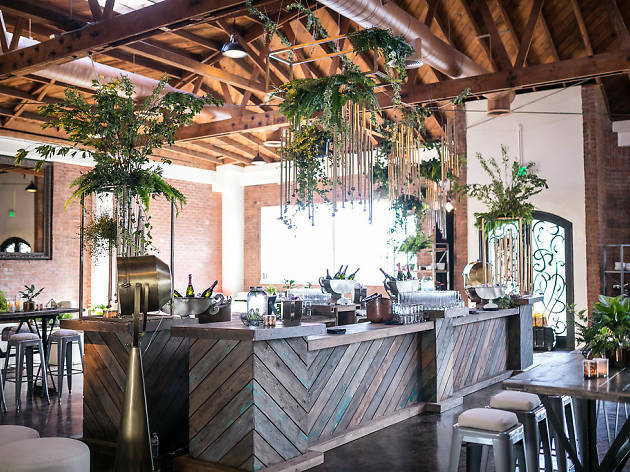 The next time you're looking to throw an event in L.A., check out At The P's versatile venue.